On Monday, January 7. 2019, Ascend Performance Materials (Vydyne PA66) declared force majeure (FM) on hexamethylene diamine (HMD) due to problems at their plant in the Pensacola, FL. In 2018 Ascend made expansions at both their adiponitrile (ADN) and HMD plants in the USA. In late December the ADN unit was brought online without any problems, and is operating at the planned post expansion rate. Unfortunately, when the HMD unit was brought back online, the plant encountered some problems with the unit, and Ascend is now taking the corrective action to get the HMD unit up and running at full capacity. The HMD unit is currently operating below the anticipated volume of the planned expansion, and availability is reduced for all polymer products and HMD. Due to the reduced HMD production rate all of Ascend’s HMD contractual customers have been placed on order allocation. Ascend is working around the clock to address the HMD issue, and get the unit back up and running at full capacity. Although the PA66 market had enjoyed stable prices for the past several months, it now appears that a new nylon price increase will be announced for February 2019. The Nylon 66 off grade market has seen level material prices since November of last year. January 2019 started off with level pricing for both PA66 prime and off grade resins as well. It actually looked like the 66 market might enjoy level material prices for 4 straight months for the first time in the last year. That all of that changed on Monday with Ascend’s HMD FM declaration. It now appears that HMD will be in short supply for the foreseeable future, which will have an immediate impact on the supply of PA66 resin / compounds, and drive up 66 prices in the world market. The supply of PA66 off grade resin has been tight since the beginning of 2018, and will probably become even tighter due to the HMD shortage. If the price of prime PA66 increases in February, then the market should expect to see all Nylon 66 off grade pellets, fibers, regrinds, and scrap prices increase as well. 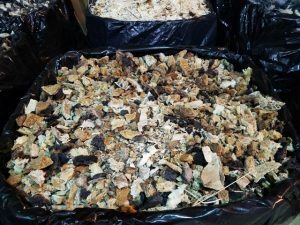 The price of PA66 scrap was already increasing at the end of 2018, because the price of both prime and off grade pellets had risen so high by the end last year. I don’t predict where PA66 prices will settle out, but at the moment it appears that PA66 prices will continue on an upward trend in early 2019. Get ready for the price of Nylon 66 to reach a new historical high in 2019. Chemco Services sells the following types of Nylon 66 off grade / wide specification resins. Contact Jim Gubera for pricing and availability of the PA66 off grade resin and regrinds. Please contact Jim Gubera to discuss your PA66 off grade resin needs, and to explore cost saving alternatives to using prime PA66 resin in your injection molding or added value compounding jobs. 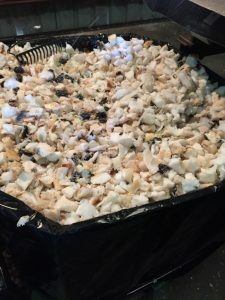 Posted in Nylon 66, Nylon 66 Resin Prices, Nylon price increase, Nylon Regrind, PA66, Wide spec non prime pellets	| Tagged Nylon 66, off grade nylon, Off Grade Pellets, PA66, PA66 Shred	| Comments Off on How will Ascends HMD Force Majeure affect the Nylon 66 market? Prime Nylon 66 / PA66 prices to reach a new historical high in September 2018 in the world market. Ascend Performance Materials based in Houston, Texas, has announced a $0.20/lb. (USD$440/mt) price increase effective Saturday, September, 15, 2018 for all non-contractual buyers of their PA66 prime neat resins and Vydyne PA66 compounds. Once the new PA66 price increase takes effect the price of prime PA66 natural injection grades with lubrication will reach a new historically high level in the world market. 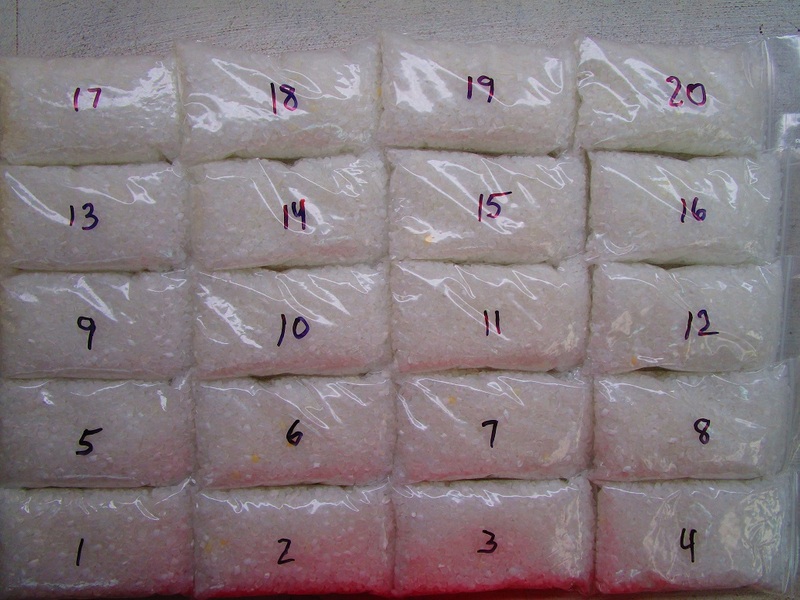 I do not sell any prime PA66 resin, but feel that the price of prime PA66 for non-contractual buyers will move to well over $2.00/lb. (USD$4400/mt) by the end of September 2018. LTL PA66 buyers can expect even higher prices for prime PA66 resins. 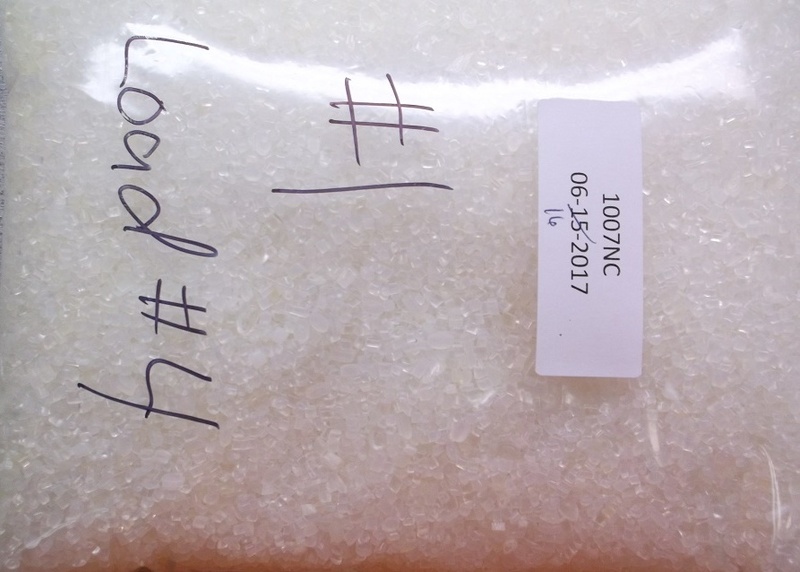 I have been selling Nylon 66 in the secondary market since 1996, and have never seen the sales price of Nylon 66 prime resin rise above $2.00/lb. for any extended period of time, since I have been selling the 66 off grade resin, fibers, regrind and shred. Nylon 66 supply is tight in both the prime and secondary (off grade) markets, and all nylon 66 prices (pellets, fibers, unfilled natural regrinds) have increased almost every month so far in 2018. The only Nylon 66 that has not seen a significant price increase in 2018 is PA66 glass filled regrinds that range in glass fiber content from 25-50%, and are used for black compounding or injection molding applications. 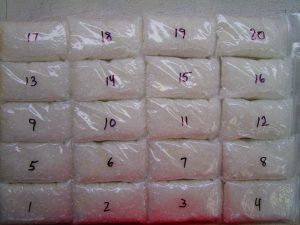 The supply of Nylon 66 will remain tight for the next 3-5 years, due to strong demand and limited supply of pirme resin in the world market. Until Invista completes and brings online their recently announced ADN plant in China in 2023, there is only a limited amount of ADN capacity that can be increased at the 3 plants currently operating in the world. In total the ADN producers may be able to increase their overall production in the world market by around 450-500 million pounds over the next 3 years. This planned increase in the current world ADN capacity will be helpful, but it will not be enough to offset the growing demand for PA66 resin and compounds. In addition, Ascend’s (Vydyne) PA66 plant in the USA is still not running a full capacity, due to the fire on July 10th of this year. The plant is running at a reduced production capacity, which is adding to the overall tightness of PA66 resin supply in the domestic and export markets. Since Ascend is operating under force majeure for all of their PA66 resins and compounds, and by passing on the current price increases for the feedstock used for making the finished product, PA66 prime neat resin and molding resins will reach new high sales prices in the market. The price of Nylon 66 off grade / wide specification b-grade natural pellets have seen a 100-110% increase in the sales price from where the material was priced in November 2017. 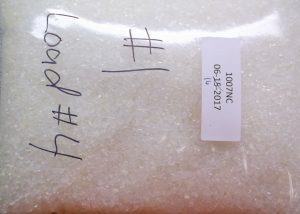 The sales price of PA66 bright fibers are up around 45-50% in the same time period as well. All PA66 prices are up for off grade/wide specification pellets, baled fibers, and post industrial regrinds / shred. The supply of PA66 off grade resin will continue to be tight for the next 3-5 years, and nylon 66 material prices will remain high as long as there is a shortage of both prime and off grade resin in the market. PA66 (good) material is so tight, we may see a period of time where Nylon 66 off grade pellets sell in the same price range as the neat resin and injection molding resins in the prime market. Contact Jim Gubera for pricing and availability of the 1008S. The 1008S PA66 Shred is good for making PA66 re-melt / reprocessed pellets, or Nylon 66 glass filled compounds for black applications. Please contact Jim Gubera to discuss your PA66 off grade resin needs, and to explore cost saving alternatives to using prime PA66 resin in your molding or added value compounding jobs. Ascend Performance Materials based in Houston, TX, has declared force majeure (FM) in the PA66 market due to a fire on July 10th at their main polymer facility in the USA. Due to the production outage Ascend has put all of their Nylon 66 contractual customers on supply allocation. This incident at the plant has affected all of their PA66 polymer, compounds, and fiber customers. Ascend has not said how long they expect to see polymers lines down, and that they are working around the clock to get the plant back up and running at full capacity. After watching all PA66 materials showing a significant price increase in the first half of 2018 it will be interesting to see what affect the FM has on the PA66 world market. In 1028 the PA66 resin market has experienced significant price increases that started back in December 2017. The Nylon 66 resin and compounds market has seen a material price increase every month through June of this 2018. The PA66 prices for July sales appeared to be level with June pricing, but after the current supply disruption and FM in the nylon market expect to see an additional price increase for August shipments. The outage at the Ascend plant in the USA will have a impact on the supply of Nylon 66 resins and compounds, which will probably equate to a price increase for August sales and shipments. Nylon 66 prices will probably see at least one additional price increase before the end of 2018, and then hopefully there will be some stability in the world’s PA66 market after the 4th QTR of this year. No one really knows how much more the price of PA66 resin will increase, but it appears that 66 prices will increase to new historical highs due to strong demand for the product. compounds, or fibers. Please contact Jim Gubera to discuss your PA66 off grade resin needs. Nylon 66 supply to remain tight for the next 3-5 years! What a crazy time in the PA66 resin market! 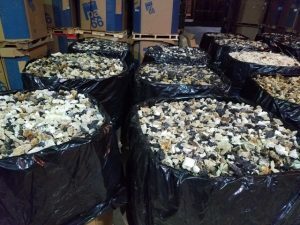 I have been selling PA66 off grade pellets and scrap since 1996, and I have never seen the supply of 66 as tight as it currently is for both prime and off grade resin. Be prepared, because the tight supply of PA66 is not a short term situation that is going to go away anytime in the near future. Based on what is currently being experienced in the Nylon 66 market, I believe that the supply of PA66 resin will remain tight worldwide for the next 3-5 years. The current shortage PA66 prime and off grade resins is being caused by a shortage of Adiponitrile (ADN) in the world market. There are currently only 3 major producers of ADN in world Ascend (USA), Invista (USA) and Invista/ BASF JV in Chalampe, France. Over the next 3 years all of the major ADN producers will increase their capacity (slightly) through modifications and changes at their existing plants. The major PA66 polymer producers have the ability to increase the PA66 resin production, but they don’t have the ADN needed to run the polymer plants. Their ability to make additional PA66 polymer is limited by the supply of ADN in the world market. At this time there are no new ADN plants slated to be built and come online for production in the next 3-5 years. Get ready, because there is no end in sight for the current shortage of PA66 that the market is currently experiencing. 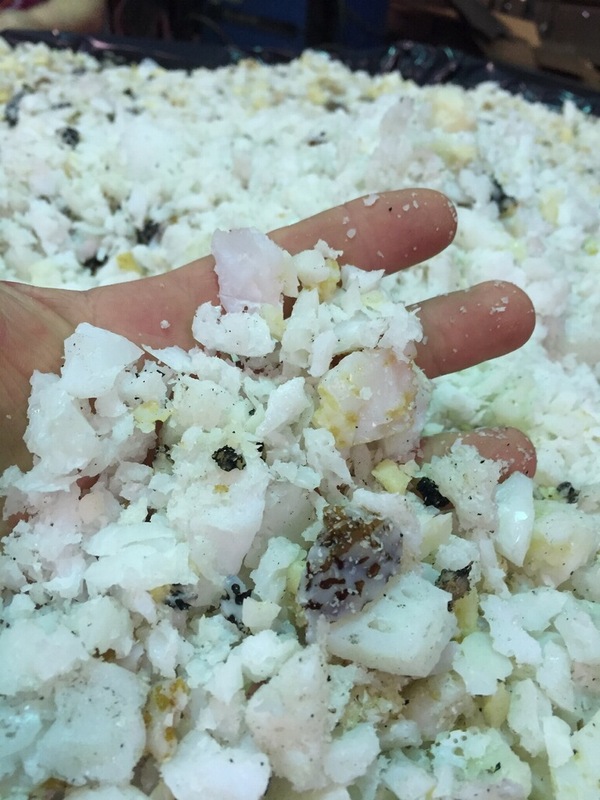 The PA66 market has seen the price of off grade resin increase by at least $.60-$.70/lb. since November of 2017, and the price increases for both 66 prime and off grade pellets are not over yet. I feel that the price of PA66 off grade pellets will continue to increase through the first half of 2018 before the market sees resin prices stabilize, and an increase in the volume of wide specification resin being offered for sale into the secondary market. Be prepared to see new historically high prices for PA66 in 2018. Although the price of PA66 is always significant to the buyers of nylon resin, unfortunately in 2018 the fact that you have access to supply of either prime and/or off grade 66 will become more important. There is currently not enough PA66 finished polymer to meet world demand. All PA66 buyers need to hope that there are no disruptions at any of the 3 ADN plants in the world, or else the PA66 supply chain will move into crisis mode, and the price of both prime and wide specification resin will go through the roof. If you would like to discuss the current PA66 supply situation in greater detail please feel free to give me a call or send me an email with your questions, and I will be glad to share my insight of the current supply shortage of ADN and PA66 the market is currently facing. 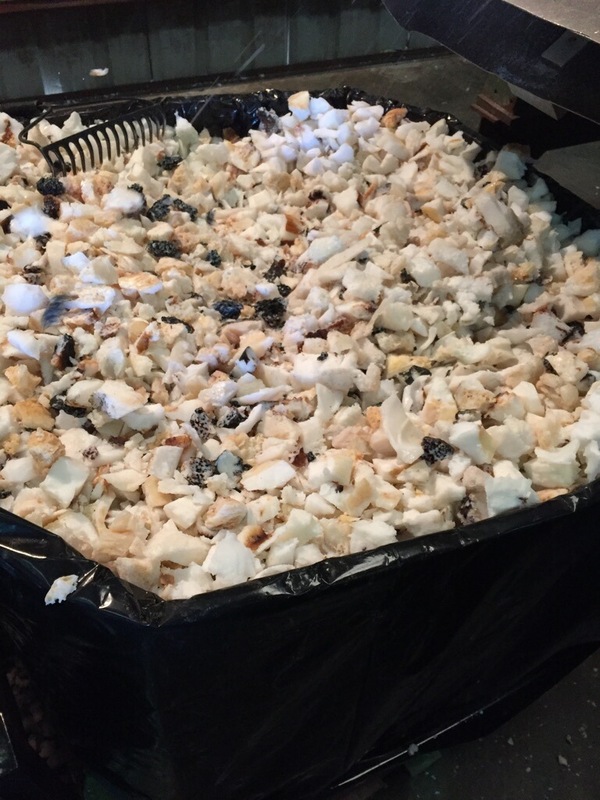 Nylon 66 off grade pellets, baled fibers and PA66 post industrial regrinds and shred. The first quarter of 2018 has seen the prices of all PA66 materials going up due to extremely strong demand for material in both the prime and secondary markets. 2017 ended with nylon material supply tightening and PA66 resin prices starting to increase. Then 2018 started off with cold weather and snow in the SE that caused the disruption of the production of the intermediaries that are used to make nylon. Due to the decreased feedstock supply Ascend, BASF and Rhodia (Solvay) have declared force majeure in the PA66 market. Since the end of 2017 we have seen reduced volumes of off grade pellets and plant scarp that we normally collect on a monthly basis. In addition, the cold weather in mid-January severely impacted the overall PA66 production in the USA. . Due to the strong demand and reduced supply of material into the Nylon 66 secondary market all of the PA66 producers have increased their resin prices since the first of 2018. All nylon 66 prices are up by at least $.10-.15/lb., and we expect to see more price increases in the first half of the year. 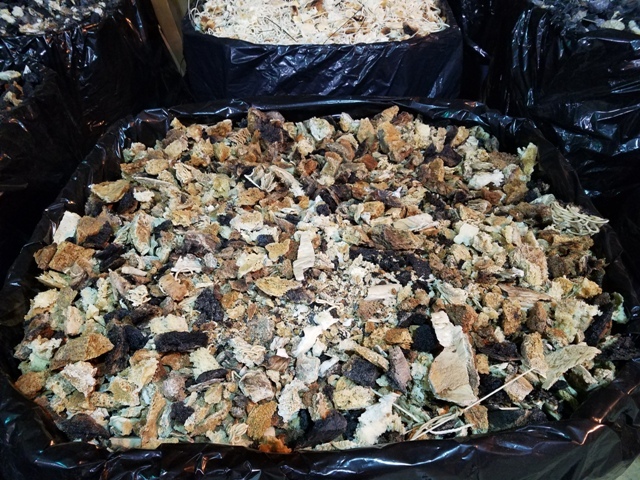 Chemco Services (CSI) has seen the price of all the PA66 materials that we collect and sell (off grade pellets, baled fibers, PI regrinds//shred) increase in price over the past 6 months. 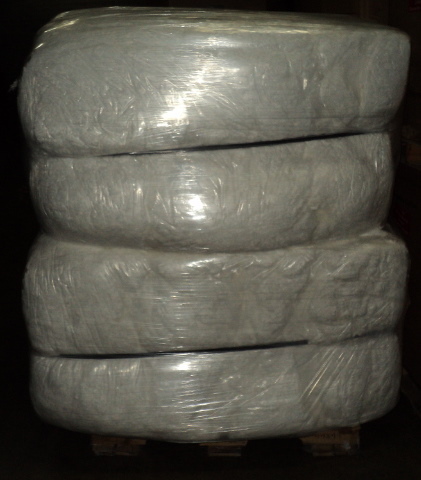 The price of Nylon 66 off grade pellets is up by at least $.20/lb. since December 2017, and will increase even more before mid year. The price of the post industrial regrinds and shred that we generate at our plants have increased by an average of $.13-$.17/lb. this year. The price of PA66 fibers had been stable, but since the end of January the nylon fiber prices have started increasing as well. 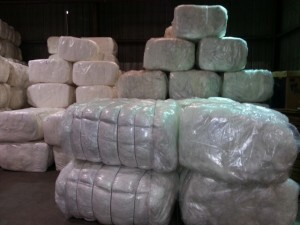 We have increased the price of all of the PA66 fibers that CSI sells by $.10-$.15/lb. in the past 30 days. Where the price of PA66 finally settles out at in 2018 we do not know, but we do feel that we are on track to reach new historic high prices before the end of this year. 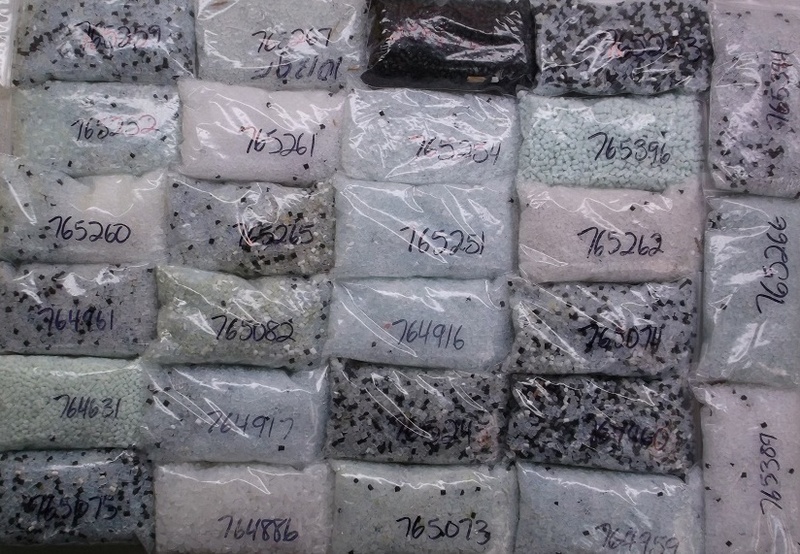 The USA Nylon 66 producers are sold out of resin in terms of selling all of the prime resin and off grade pellets that they can produce in a given month. Both PA66 prime and second quality pellets are in short supply, and the market will probably remain that way through all of 2018. 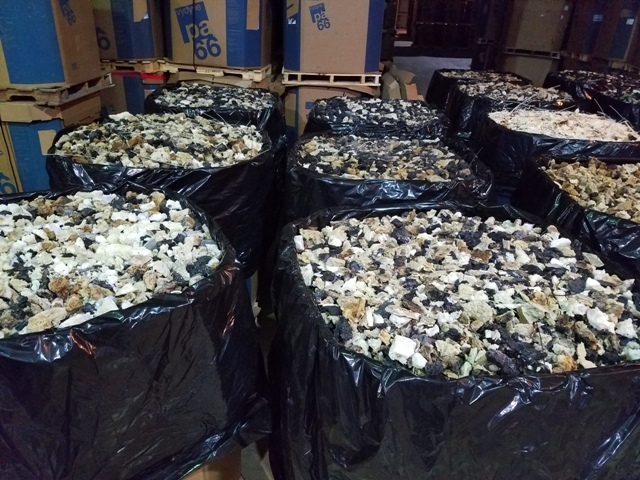 We are currently hearing of cases where PA66 B-Grade natural off grade pellets are selling for a higher price than prime PA66 resin that is being bought on contract. The price of the PA66 is always a major factor in the purchasing process, but in 2018 just getting off grade material, and having a strong Nylon 66 supply relationship may be a bigger issue. The manufacturing process to produce virgin Nylon 66 products for the fiber and plastics market results in a number of products not suitable for sale in the prime resin market. Chemco Services buys/collects, processes and upgrades these producer off-grade streams to provide cost effective alternative products to the Nylon 66 market. Chemco offers PA66 Off-Grade pellets and recycled materials to help your company save money and better compete. These alternative materials allow users to blend, process or compound (with or without prime) to produce a wide range of cost effective end products to fit specific market needs. Contact Jim Gubera for pricing. The price of PA66 off grade pellets and wide specification fibers are up slightly at the beginning of the 4th QTR in 2017. It had looked like PA66 off grade prices were going to remain stable through the end of 2017, but Hurricane Harvey changed the outlook on the short term domestic nylon market. Immediately after the hurricane Invista declared force majeure in the PA66 intermediaries and PA66 polymer markets due to outages at their plants in Texas. Plus Ascend has announced a $.10/lb. price increase effective October 1st for all of their prime Nylon 66 resins. So there appears to an upward pricing trend for Nylon 66 heading into the last 3 months of 2017. We have seen a price increase for both the PA66 off grade pellets and wide specification fibers that we are buying for sale in the secondary market. The PA66 market overall still seems to be in balance, with the nylon producers seeing strong demand for both their PA66 prime and off grade resins. They appear to be staying sold out of the first quality material, and have limited supply of the best quality off grade natural pellets for sale in the domestic market. PA66 off grade natural pellet prices are up about $.15-.18/lb. since this time last year. It looks like prices in the PA66 off grade market will continue to be stable in October and November of 2017, while demand for finished pellets is still strong. The new changes in the China plastic scrap recycling market importation restrictions continue to cause problems in the USA domestic scrap business. China has essentially stopped taking all low end and dirty plastic scrap from all countries around the world. The changes in China’s environmental laws have slowed the sale of plastic scrap around the world, and have caused some types of plastic scrap to start backing up at their source. So we are actually in a period where the price of prime PA66 is going up, while the prices of some PA66 regrinds and scrap are softening in the export market. 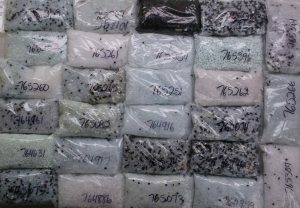 Chemco Services has multiple loads of the 1013GF – PA66 Glass Filled Pellets loads available for sale and immediate shipment. The price of prime PA66 in the USA market is stable at the beginning of the 3rd QTR of 2017, and should remain that way for the next 2-3 months. The push to increase PA66 prices that started back in August 2016 seems to have ended. Now the PA66 market is adjusting to the higher nylon prices that were passed onto the market over the past 6 months. I think that the price of PA66 prime pellets for non-contractual buyers is around $1.20//lb. or higher for truck quantities in the domestic market. The domestic PA66 producers are in a “Sold Out” position, and feel there is currently a good balance between supply and demand in the prime market. For this reason don’t expect to see PA66 prices come down anytime soon in the USA market, and hope that the price of nylon continues to remain stable through the end of 2017. Due to the current conditions in the PA66 prime market the supply of off grade pellets for sale in the secondary market is very tight at this time. The USA producers are releasing very little of the best quality B-Grade pellets for sale into the market, so off grade nylon prices are up, and the supply of B-Grade pellets is tight. 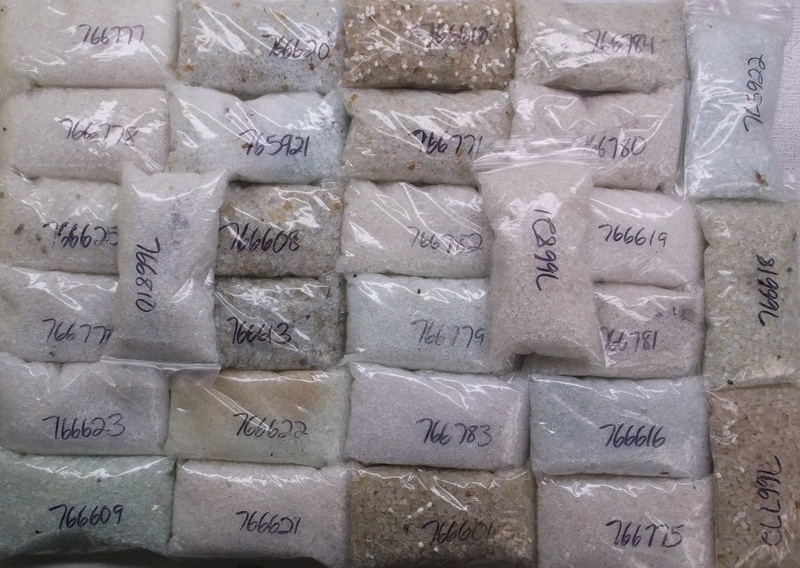 I think that before long the price of off grade PA66 will equal the price of the prime material, due to the limited volume of PA66 off grade resin that is available for sale in the secondary market. The real challenge that I see is that the price of PA66 scrap is falling, while the price of the good quality PA66 off grade pellets is stable or going up. Lately the price of some types of PA66 scrap has been falling due to the new laws and increased importation duties in China. China has made several changes recently that have slowed the movement of plastic scrap into the country. The new National Sword 2017 program was implemented in order to eliminate the importation of low end and dirty plastic scrap into China. In addition, the import duties on a container of plastic material have almost doubled in China, so this added expense will help keep out some of the lower cost dirty materials. Both of the issues stated above have slowed the sale and movement of PA66 scrap into the HK / China markets. Chemco Services has the following PA66 off grade pellets, baled fibers, and post industrial regrind/shred available for sale in July 2017. There will be some low melt pellets present in the blend. Can have off color pellets and/or black specs present in the blend. Contact Jim Gubera for a price quotation. All of the PA66 that CSI sells is marketed, sold, and billed as off grade / wide specification resin. Please contact Jim Gubera for pricing and availability. The price of Nylon 66 prime resin has increased by $.30/lb. since September of 2016. The USA PA66 market has seen three $.10/lb. price increases that started last September. There were announced price increases of $.10/lb. in September and October or 2016, and another $.10/lb. price increase that was announced in January 2017. The supply of both Nylon 66 prime and off grade pellets is tight in the domestic market, with strong demand for all grades of our off grade / wide specification pellets. The price of prime PA66 is once again back up well over $1.00 per pound, and all nylon material prices will probably increase even more before mid-year. The days of it being a “buyers market” are over for PA66, and will most likely remain that way through 2017. Do you have a low end PA66 glass filled application that could use this product? We are looking for a partner that needs low cost PA66 glass filled feed stock for compounding. Quantity: 5 loads available now, with at least 5 more loads on the pad that need to be shred. The 890S – PA66 GF Shred is generated from purge patties from the glass compounding extrusion lines. The glass content can/will vary from 0-50% across the load of PA66 GF Shred. The color of the 890S – Shred is natural and black or black/natural mixed. The 890S is best suited for making Black Glass Filled reprocessed pellets. There will be some burnt / degraded polymer present in the PA66 GF shred. 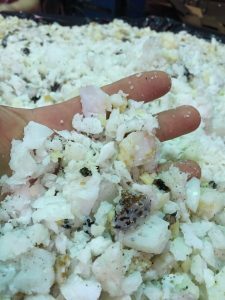 There can be trace amounts of PP in the shred, because PP is used to purge the extrusion compounding lines. 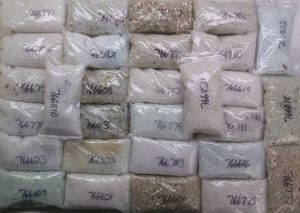 Excellent compounding feedstock at a very competitive price. Nylon 66 / PA66 off grade resin prices remain stable in August of 2016. Nylon 66 off grade resin prices stable in August of 2016. CSI has the following materials that we are looking to develop some new sales programs around. Do you have a compounding job or molding application that requires a lower cost PA66 material? Let’s discuss your needs and see what CSI has that fits your PA66 material specifications. Chemco Services has several inventory items that we would like to develop some programs around. All of the following Nylon 66 materials are available on a continuous basis, so we can offer you continuity of supply. Posted in Nylon 66, Nylon 66 Resin Prices, PA 66, PA66	| Tagged Nylon 66, PA66, PA66 off grade	| Comments Off on Nylon 66 / PA66 off grade resin prices remain stable in August of 2016.